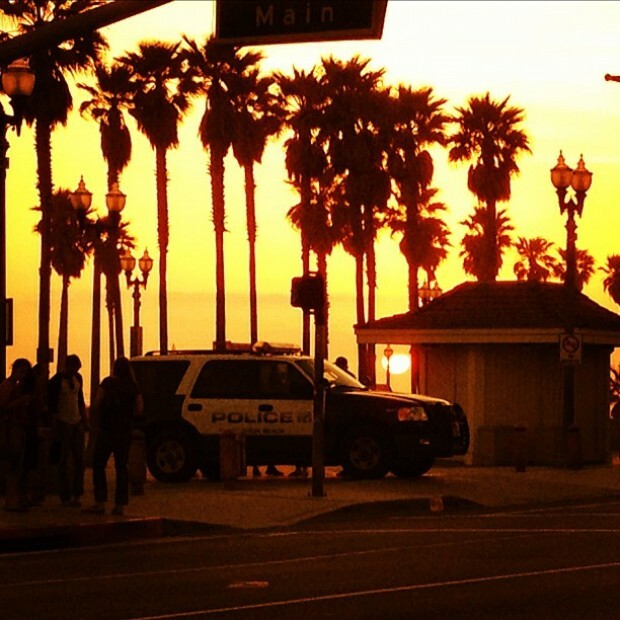 Flip-flops, sun hats, and tanks on, beach fest lovers. Fiesta Hermosa marks 40 years in 2012. The big summer-bookending festival runs over Memorial Day Weekend (Saturday, May 26 through Monday, May 28). FIESTA HERMOSA: Our fair city is known for a ton of tropes, but the beach-close, easy-breezy, summer's-here arts festival is particularly famous. Maybe that's because it's fun to wear tank tops and eat ice cream and listen to music and chill the week right out? Just a wild guess. 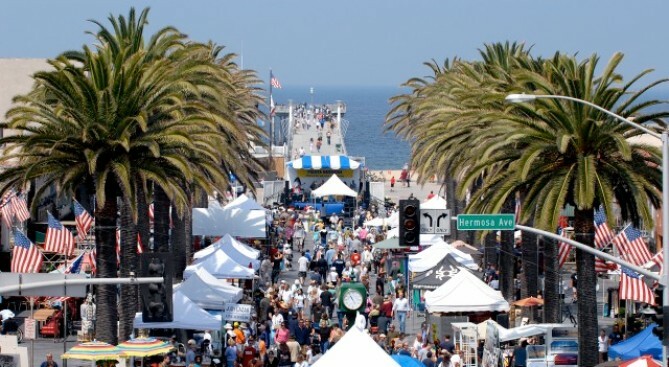 The 40-year-old Hermosa Beach summer staple is on all Memorial Day Weekend -- that's Saturday through Monday -- but if you miss the free fest, never fear: It'll be back to bid summer adieu over Labor Day. UCLA JAZZ REGGAE FESTIVAL: This long-standing Memorial Day Weekend music celebration observed its quarter century mark last year. Meaning? The big names keep signing on. The Roots, Booker T. Jones, Shaggy, Don Carlos, and Thundercat, as well as many others, are set to appear. Jazz Day is Sunday, May 27 and Reggae Day is Monday, May 28; can you make both? Lots of people do and have for years. THE JUBILEE: A bunch of bands'll take to Sunset Boulevard in Silver Lake for some old-fashioned, indie-sweet, holiday weekend-style music-makery. Sunset will actually be closed for a piece around Sunset Junction, note, but the song-oriented street fest isn't free, so get those tickets. Dates are Saturday, May 26 and Sunday, May 27. You're showing with your own cup, right? Righteous. CLEOPATRA IN LA: Several ancient artifacts from the era of Cleopatra are now on display at the California Science Center; we want to see the two 16-foot granite statues, which visitors are giving a lot of love on Facebook and such. While the center is typically free to get in, note that there is an admission for this show and tickets are timed. The exhibit made its West Coast debut on May 23. STREET FOOD CINEMA: We're picturing your "Vote for Pedro" t-shirt spread out, lovingly, on your bed. We're picturing you calling all your pals to talk about this outdoor movie-and-food-truck bonanza at Exposition Park, and how Saturday, May 26 is opening night, and how the first flick is "Napoleon Dynamite." We're picturing you quoting the movie now. We're picturing you dancing. Okay, we'll leave you to that, then. Over and out.